I love this passage because it shows God’s power and love for us and He never fails to amaze me. He loves us so much and wants to be with us so he commands that we go out and preach the gospel! That is one thing that I learned a lot about on this trip; going out and telling, sharing the gospel, the great commission. Prior to going to Puerto Rico, I was, for the most part, fine with my faith. Bu,t when it came time to tell other people about what it’s like to live for God I would try and hide it just that I wouldn’t offend anyone or because I was afraid people wouldn’t want to talk to me because they thought I was going to try and throw Christianity upon them. It was just easier to keep it to myself unless I was around other Christians. After learning about the great commission and seeing how God worked in our outreach I realized how important it is to share God’s love. He wants us to share! God could have just left us to struggle and live in sin for the rest of eternity! But He didn’t. He loves us so much that He sent Jesus to die on the cross for us and then Jesus rose! He beat death and Sin! And now we can have a relationship with God thanks to Jesus! God loves us so much that we can’t even comprehend it! That is what I am sharing with the world. Not my story, but God’s. 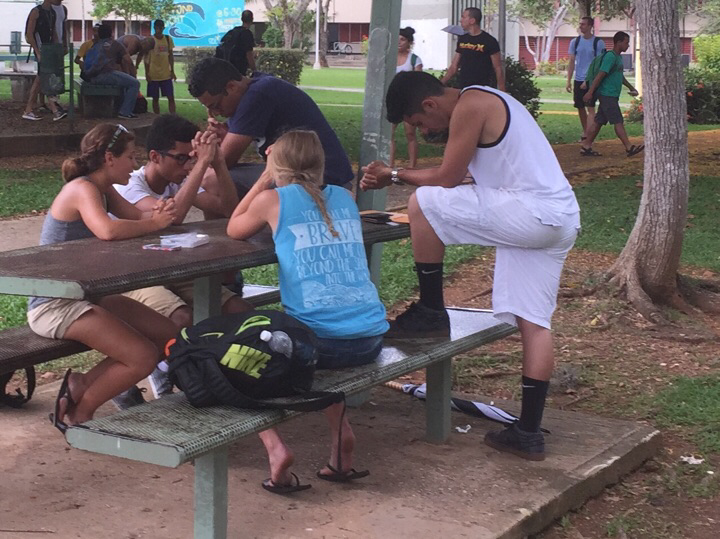 Sharing my faith is still difficult sometimes, but, I am definitely more comfortable with it after seeing how lives were changed while we were in Puerto Rico. 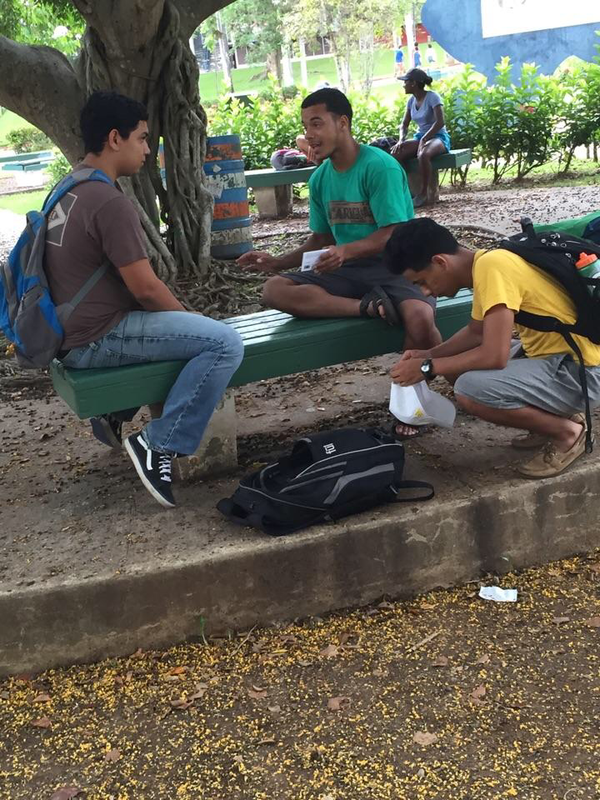 I was very encouraged to continue to share the gospel after walking around Colegio (Mayaguez) and Inter San German and seeing other students in our group sitting and praying with random people they had just met. I am so thankful for everyone who supported me through this trip and all of the staff and interns who poured into me and organized this trip! It was life changing! I am looking forward to applying all of the things I have learned over the past 2 weeks as I come back to the ‘valley’. As a group, we had 220 sewing conversations (initiated a conversation- may have played solarium, but did not get to explain the Knowing God Personally booklet), 112 conversations about the Knowing God Personally booklet (this book explains the gospel), and had 24 people come to Christ! And I was able to witness 2 of those people come to Christ! God worked in extraordinary ways through this group! Time to go share with the valley I learned on the mountain top!